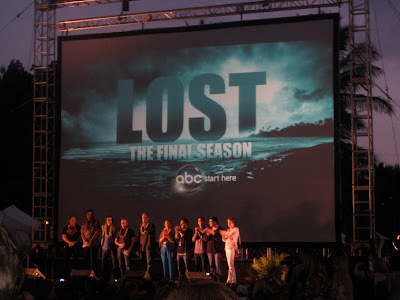 I spent the one-year anniversary of my trip to Oahu for LOST's Season Six Sunset on the Beach premiere in another sunny, warm place: Miami. I was there to support my friend Miss M, who ran the ING Half-Marathon. Longtime LLL readers might remember Miss M from some of my earliest posts, as she was who I'd stay with in NYC when I was working for The Man and out east every other week. In particular, she was the one whose DVR -- ones of the nights I was crashing at her place -- neglected to tape the Season One episode where Boone died/Aaron was born, and she subsequently feared for her life. Needless to say, time heals all wounds and we're still friends. The Island couldn't have felt further away. Then I struggled with what to write about for my first true post-LOST LLL entry. There were so many great ideas mentioned in my call for submissions last month; I didn't know how to narrow them down. Well, actually, there were a couple of topics I took off the table immediately: anything having solely to do with Season Six or The End. 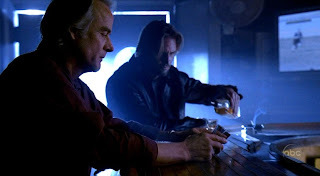 I will certainly write about the last season and the series finale again at some point, but my Mother of All Posts took care of the vast majority of thoughts I have on those subjects for now. 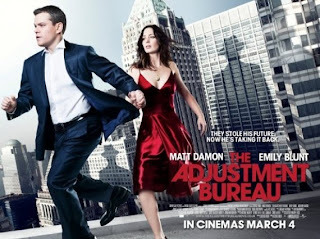 It ended up being a few coming-soon movies that inspired this post: The Adjustment Bureau (out March 4) and Source Code (out April 1), as well as a comment from LLL reader "Ms." who suggested that it would be fun to revisit some of the earliest mysteries of the series. As you might remember, for the past three years (and because of this little ol' blog) I've been a film critic for redbox. While I'm not allowed to publicly give my opinion on any film before it's out (Damon Lindelof can, though), I will say that both TAB and SC revolve heavily around one of LOST's central themes: Fate vs. Free Will. The Adjustment Bureau even throws in a third element, Chance. TAB 's about a couple who wants to be together but is informed by mysterious bowler-hat-wearing dudes that their relationship is "not part of The Plan." Source Code follows an agent who keeps reliving eight disastrous minutes over and over... until he tries to change what happens (despite being warned that doing so is impossible). Extremely LOST-ish, yes? These movies got me thinking (again) about what I still consider to be some of the most important questions our favorite TV show asked: Are our paths in life predetermined? Can you control your own destiny? How much of the future is already set in stone by a higher power? LOCKE: ...Do you really think all this is an accident -- that we, a group of strangers survived, many of us with just superficial injuries? Do you think we crashed on this place by coincidence -- especially, this place? We were brought here for a purpose, for a reason, all of us. Each one of us was brought here for a reason. LOCKE: The Island. The Island brought us here. This is no ordinary place, you've seen that, I know you have. But the Island chose you, too, Jack. It's destiny. JACK: I don't believe in destiny. 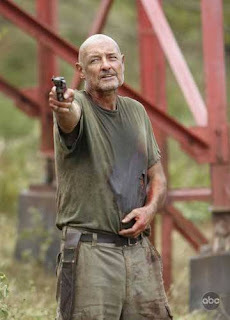 LOCKE: Yes, you do. You just don't know it yet. So now that it's all said and done, what do we think? Were the 815ers destined to crash on the Island? If I had to give a short answer, it would be "Yes." But of course a short answer doesn't do this monumental question justice -- it's waaaay more complicated than a simple one-word response. Before I write anything else, let me admit that "The 815ers were meant to crash" is one of those things I just like to believe and don't necessarily have a 100% airtight case for. Since I'm assuming you'd appreciate it if I at least attempted to back up my stance, however... what follows is my reasoning. 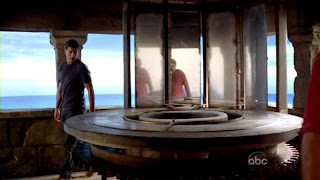 Remember when we found out that Jacob had that crazy Wheel of Fortune thingy in the lighthouse, along with a magic mirror that helped him keep track of all of the Candidates' lives in the off-Island world? Allow me to suggest that it was The Island directing Jacob on who to watch in the first place. The Island knew who could fill each critical role that would result in triumph over the MIB. Jacob tried to carry out The Island's needs... much like Richard tried to carry out Jacob's orders over the course of time. At all costs, The Island needed its Light to keep burning. I always interpreted The Light as a representation of everything that is good in the world -- knowledge, love, friendship, empathy, truth, etc. Without the Light, the Island -- and, in turn, the world -- could be destroyed, be it by the MIB or other forces/people who might not have even truly comprehended what they'd stumbled upon (Widmore, anyone?). When Jack went into the cave to "reboot" everything after the MIB was defeated, we saw the skeletons of several others -- hinting that this good vs. evil battle had been repeated over and over again for a long, long time. Which, to me, means that the Island had been summoning certain "special" people to help protect the Light for centuries. That brings us to the matter of Fate vs. Free Will. Did any of the 815ers -- or any other character on the Island, for that matter -- ever have a chance of altering his or her destiny? Was their main purpose in life to play the role they played to keep the Island safe? The Jughead experiment would lead us to believe so. A ton of LOST fans (myself included) had assumed that Faraday's plan might have made it possible for the 815 survivors and their friends to change the past -- to skip going to the Island all together. To be sure, most of us hoped that the first five seasons wouldn't be totally erased... we figured that there could be some sort of space-time shift to allow a new present/future course for our beloved characters that would still keep some of their Island experiences intact. But that didn't happen. "Whatever happened, happened" was reinforced when the Jughead explosion failed to reset the timeline... but should we interpret this to mean "You can't escape your destiny? Free will is a farce!" I'm not so sure. I choose to believe that the overall universe served up multiple paths for each of the characters, and they just so happened to make choices that -- in the end -- aligned with saving the Island (and mankind, let's not forget). Not everything was predetermined to work out this way. I mean, consider the end of Season Three -- if Jack had listened to Locke and simply hadn't made that call to the freighter, it's possible that everything would have resolved itself with much less bloodshed and lives lost. The counter-argument, of course, is that at that point Jack wasn't ready to take over the role of Island Protector from Jacob, so in order to fulfill his true ultimate destiny, he had to leave the Island and then eventually convince himself of the need to -- say it with me now -- "GO BACK!!!!" You can apply this same logic to almost (key word) any character's story arc. Character A needed to realize X on his/her own in order to eventually do Y and Z... which led to Character B doing this and that... which averted the Island's destruction. The web of characters needing each other to achieve their ultimate destinies is extremely complex, but I'm sure at least one mega-nerd has it mapped out somewhere online. While I don't think I'll ever be able to take on such a huge task, I do foresee revisiting this idea of the connections between characters -- and the domino effect of their individual actions -- that resulted in saving the Island. Here's just one teeny idea along these lines that struck me the other day: Since Christian/Zombie Dad ended up playing such a critical role in helping Jack to "let go and move on" in the finale (and was most likely the reason why Jack was always trying to "fix" things in the first place... culminating in fixing the Island), it could be argued that back in the day when Jack was just a little kid and Christian developed his problem with the drinky-drink, fate intervened and led Christian to have an affair with an Australian woman... who ended up getting pregnant (with Claire)... eventually leading Christian back to Australia to try and patch up the situation after he'd been stripped of his medical license in the US. And then, as we all know, he ended up dying in Australia... which is why Jack went there... only to attempt to return to LA on Flight 815. Did the fact that Jack's destiny was to save the Island mean that his father's life was also impacted in order to lead Jack down the necessary path? Deep thoughts, people! Deep, deep thoughts. 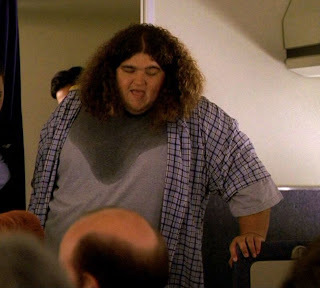 I want to introduce one other discussion topic into the mix before I wrap up, and it's about the character I consider to be the biggest glaring exception to the "Destined to be on the Island" theory: Hurley. We all know that Hurley served as the Island Protector for several years with Ben as his right-hand man, and that Hurley most likely improved on (and/or completely tossed out) Jacob's "rules." This revelation gave me a great deal of comfort because Hurley was one of the only characters who had a family back in the real world who he was close to. I couldn't bear the thought of him never being able to see his parents again because of his new Island role... and so I choose to build upon "The New Man in Charge" epilogue by assuming that while Hurley was in California picking up Walt, he also dropped in on his mom and dad. Yay! Smiles all around. My issue lies with the fact that Hurley was one of the only characters that fate seemed to be trying to STOP from boarding Oceanic 815 in the first place... yet he ended up being the Island Protector. How does that work? How does that fit in with the Destiny argument? 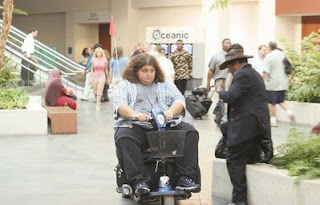 Remember everything that went wrong when Hurley was trying to get to the airport? His alarm clock broke, he just missed the hotel elevator, his tire went flat, he went to the wrong terminal, etc., etc.? It was like he was not meant to get on Oceanic 815. Which is even more interesting when you consider that Hurley was one of the only characters (perhaps THE only character) who went to Australia in order to figure out a mystery that ended up carrying over to The Island -- the numbers. I also believe he was the only character (I know you'll correct me if my memory has failed!) who was desperate to get on that particular flight -- he'd wanted to make it home in time for his mom's birthday. I don't think any other character would've freaked out if they'd been bumped or otherwise had to take another flight -- in fact, several characters' tickets were arranged by another party (strengthening the Destiny arguments for each of them). So what do you make of all of the trouble Hurley had in his attempt to be a passenger on Flight 815? Is his story a case for Free Will? Or was it really his destiny to be on the flight and all of the bizarre stuff that happened to him was just bad luck (ironic, considering it's Hurley...)? I'm going to choose to end this post here in order to actually get it published, because it's already a few weeks later than I'd hoped. But I can't wait to hear everyone's thoughts on the Free Will vs. Fate debate. Please continue to leave other Mailbag topic ideas in the comments, too... I never can tell exactly what will inspire a post, so the more suggestions, the better. I'm figuring I'll be back with the next post by the end of March. My dear friend and fellow blogger JOpinionated is holding the Coolest. LOST Giveaway. Ever... all in support of a worthy cause that's close to her heart. The details are here, and the deadline to enter is March 1. We've talked a lot about Oceanic Flight 815 in this post -- wouldn't it be cool to OWN A PIECE OF IT? Signed by Jorge "Hurley" Garcia, to boot??? 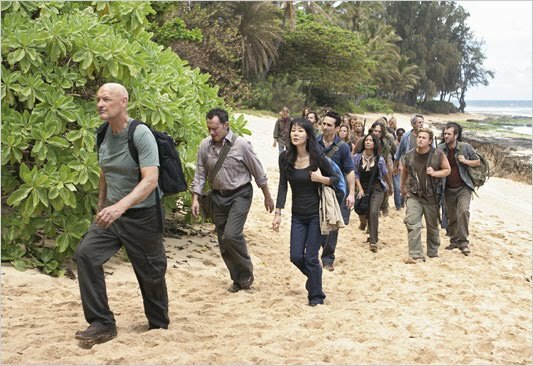 Did you hear that Michael "Ben" Emerson is going to star in one of LOST creator J.J. Abrams' new shows? And Jorge's in another? 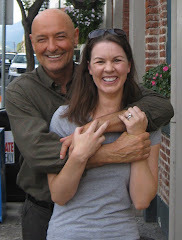 Speaking of Locke, I have to share a short and funny story. A fellow name GH, who wanted to surprise his wife LH -- a longtime LLL fan who was planning to read my book -- with with a personalized bookplate from me, had this to say when he sent in his email request, "Don't want to tell you what you can't do by saying what to write... so I'll leave that up to you." Locke would approve. And finally, I feel the need to point this out because it didn't hit me until months after I'd seen the Academy Award-nominated film Winter's Bone: The guy who plays the strung-out uncle is Lennon -- Dogen's little friend from the Temple in Season Six (real name: John Hawkes). WHAT?!?! He looks totally different in the movie. But congrats to him, because he's been nominated for Best Supporting Actor. Hope you enjoyed the first of my post-LOST ramblings! And here's a special shout-out to LLL reader PN from Helsinki -- my publisher forwarded me your handwritten note -- loved it. Many thanks! Posted by Erika (aka "e") at 5:47 PM 16 comment(s) from my peeps! 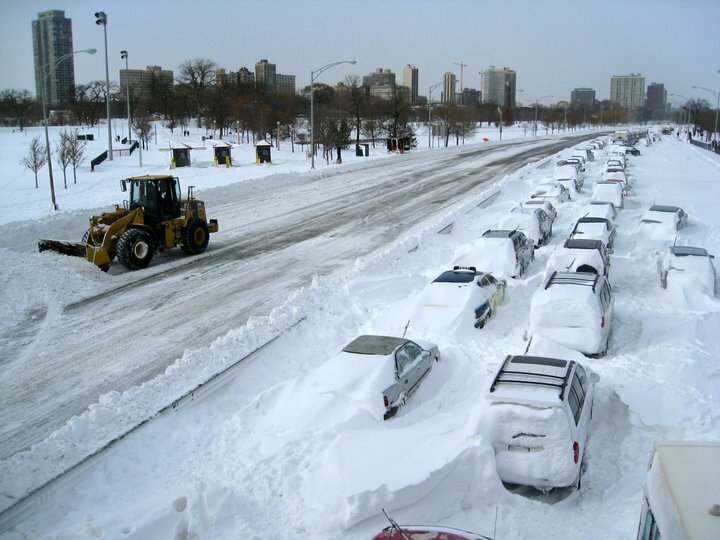 As you probably know, Chicago was hit pretty hard in the Blizzard of 2011 last week. The resulting mayhem threw off my schedule a bit, and I wasn't able to finish my first mailbag post this past weekend as I'd hoped. 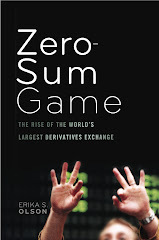 But I have started it, and anticipate publishing it on or around February 14. It'll be like my valentine to all of you! Posted by Erika (aka "e") at 4:26 PM 3 comment(s) from my peeps!